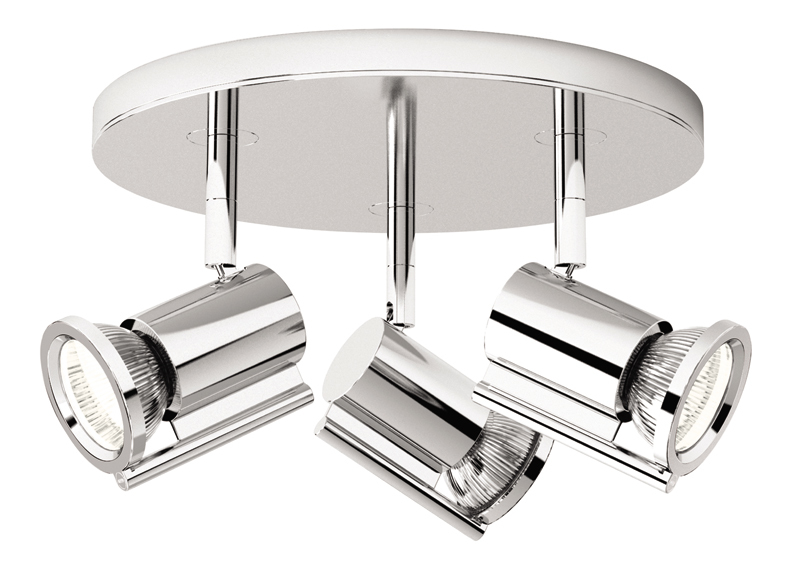 Angelo's Lighting sell a vast range of modern contemporary track lighting from our North London showroom made from materials such as steel, chrome, aluminium, bronze and other metals. 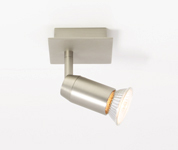 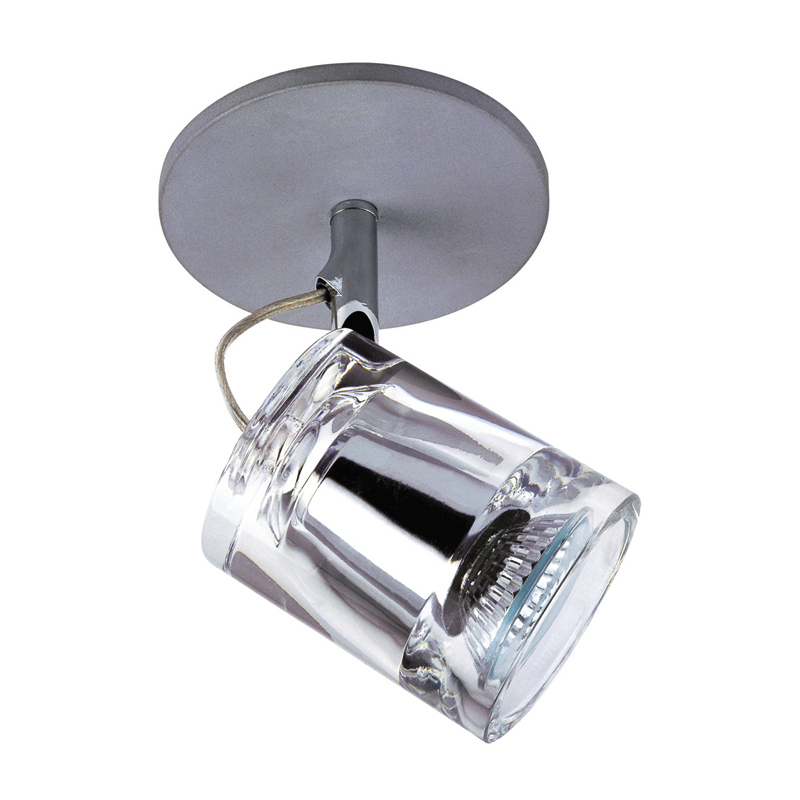 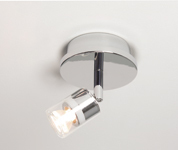 Our track lighting collection includes classic, modern, art deco, retro, and pendant styles. 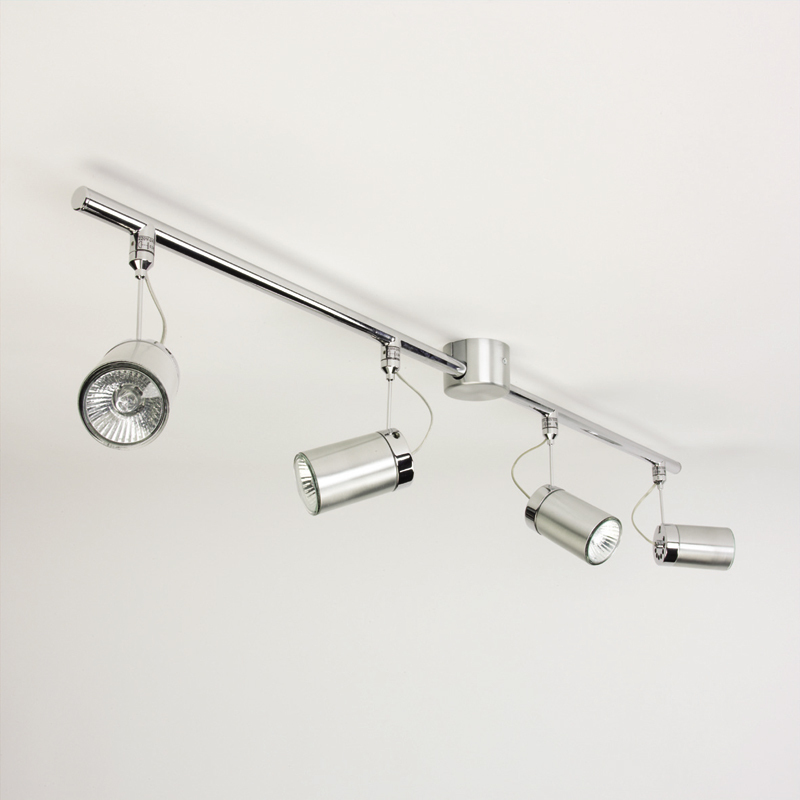 Track lighting gives a streamlined look to a contemporary home and is also a popular form of lighting for shops, cafés, restaurants, bars and art galleries. 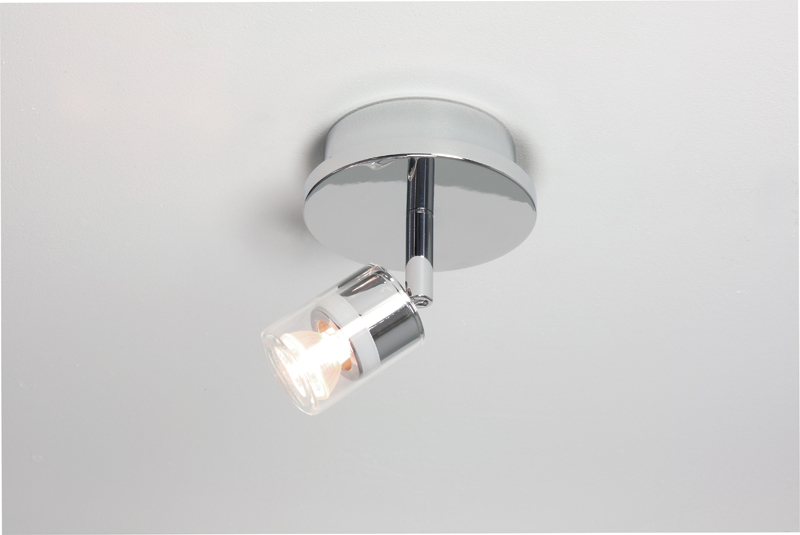 Track lighting is ideal for the kitchen, bathroom, living room, dining room and home office and can range from decorative styles of lights to sleek modern designs. 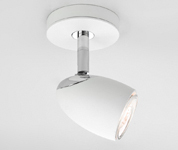 They produce less glare than traditional lighting and benefit from being fully adjustable and rotational for added versatility. 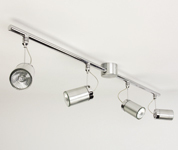 Track lighting is available with single or multiple spot lights and you can choose from low voltage, florescent, flood and halogen lights to create mood and atmosphere. 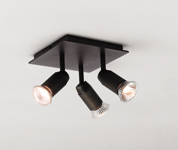 This type of lighting is suitable for all types of home and can be hung with rods from high ceilings to give a modern slant on a traditional interior. 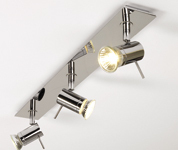 Angelo’s sell contemporary lighting at competitive prices. 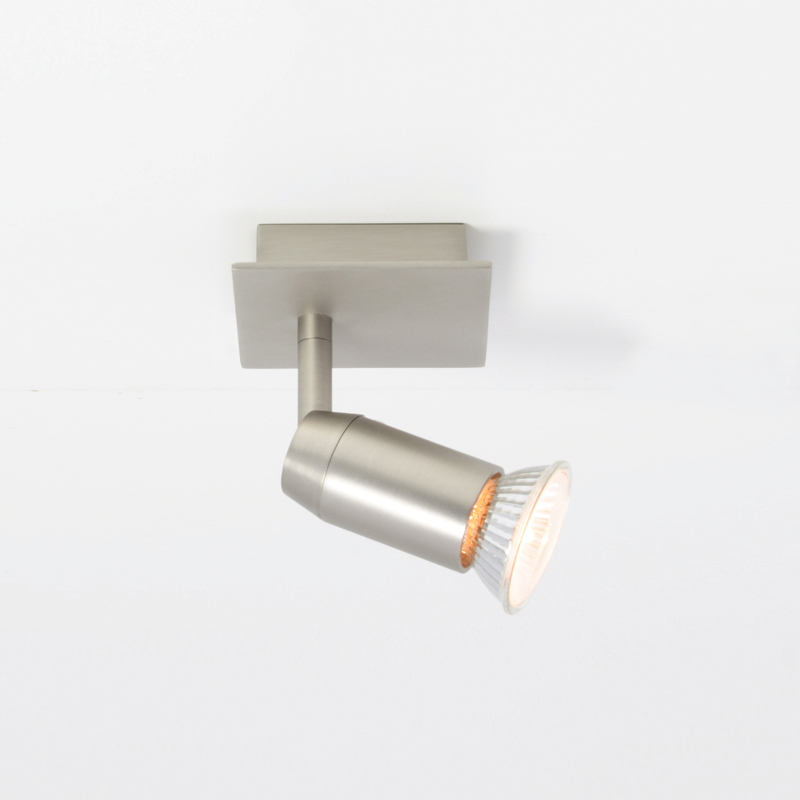 Here you can see a small sample of our track lighting but to see our full range, visit us at our London showroom in N8 where we have a much larger collection! 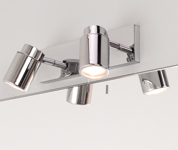 Track Lighting London - click here to view the location of our lighting showroom in north London. 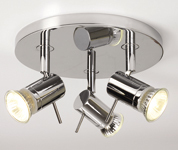 Track lighting was invented in the 1960's by Lightolier. 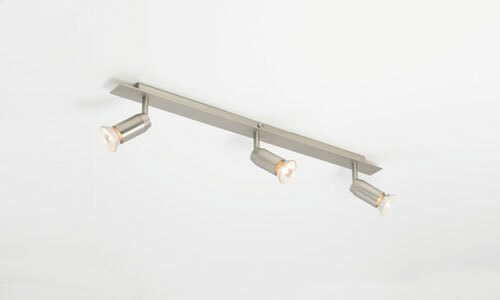 It was designed by Anthony C Donato and consists of light fittings fixed along a continuous powered track device. 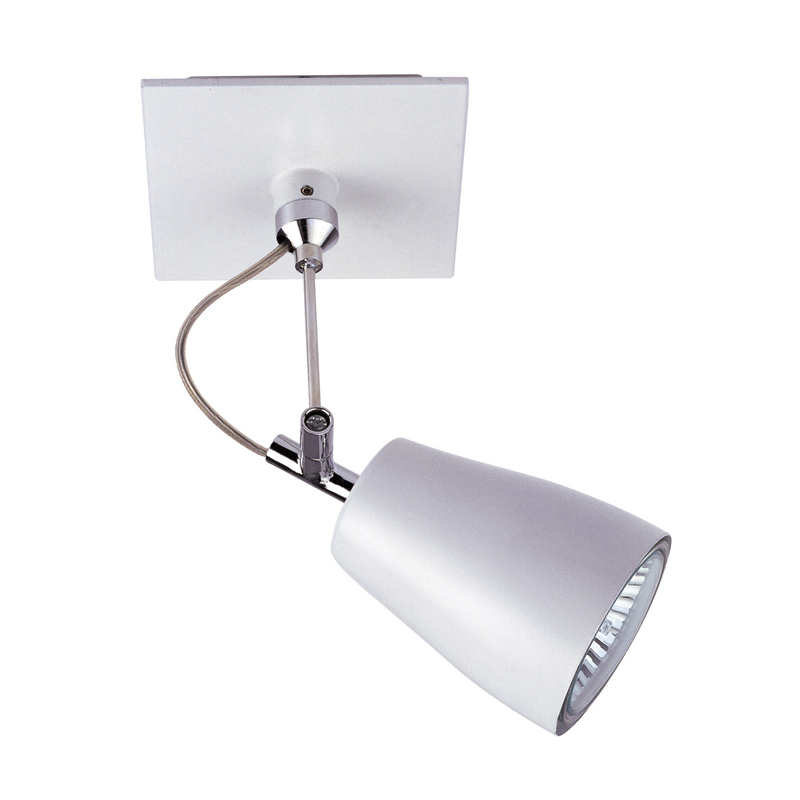 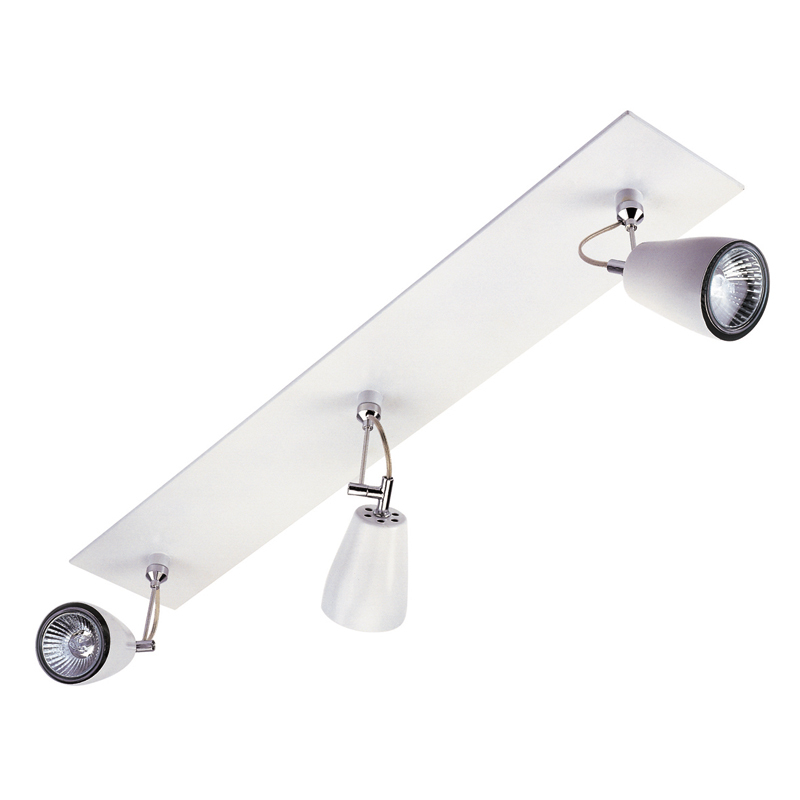 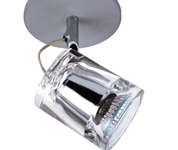 Track lighting is very versatile as it can be attached to either the wall or ceiling. 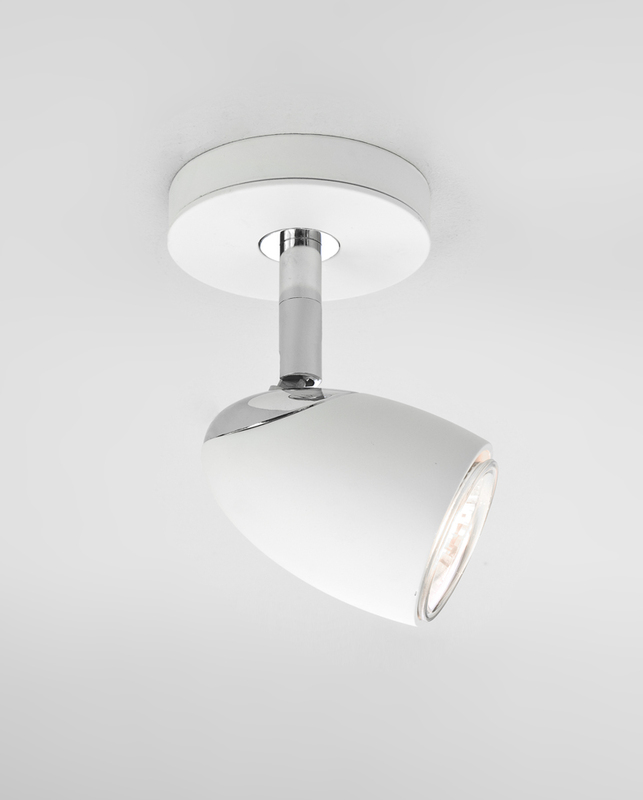 Each of the lights have adjustable heads, so it can be used not only as a principal source of lighting but also to highlight a particular area of interest, such as a sculpture or furniture piece. 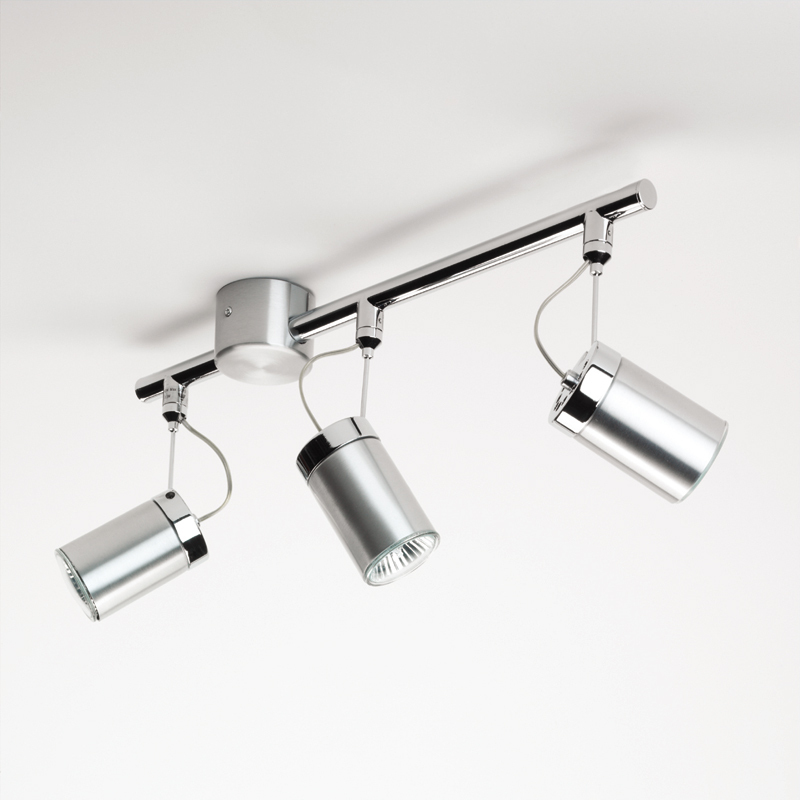 Track lighting is ideal for the kitchen as you can use it to highlight the work bench, the central island, or hang it above the table for family meals or study. 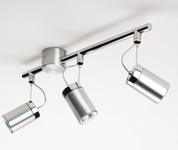 It’s sleek, clean lines and modern designs can complement all kitchen styles and will enhance the look of your interior. 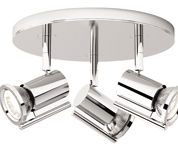 The dining room is a popular room for entertaining and lighting is an important feature of this space as it helps set the mood. 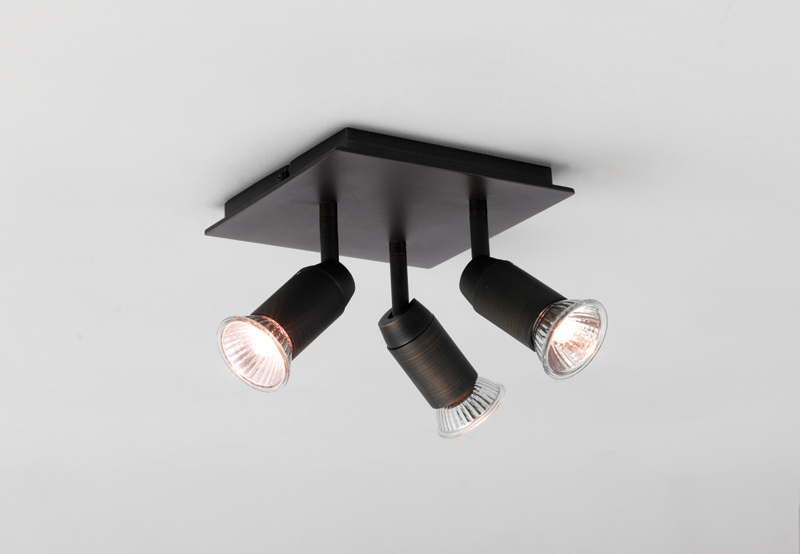 Track lighting can be hung above a contemporary dining table to show the table to its full effect. 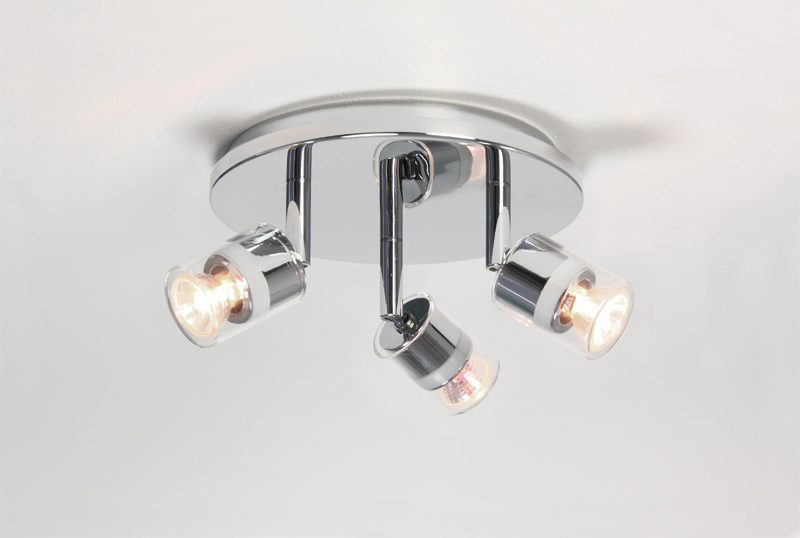 It can be used to illuminate the entire room or the heads can be beamed in different directions to produce the most flattering light for dinner parties. 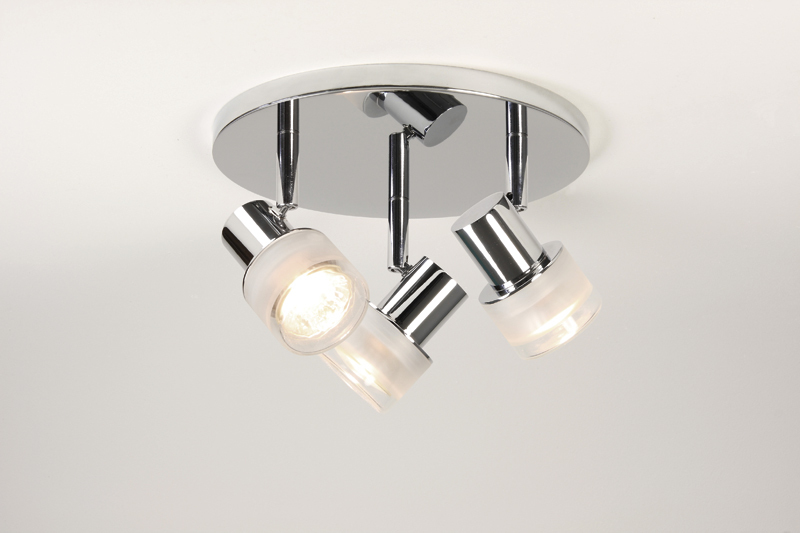 Track lighting in the bathroom is used to create enough luminosity to assist in grooming, showering and getting ready for work or a night out. 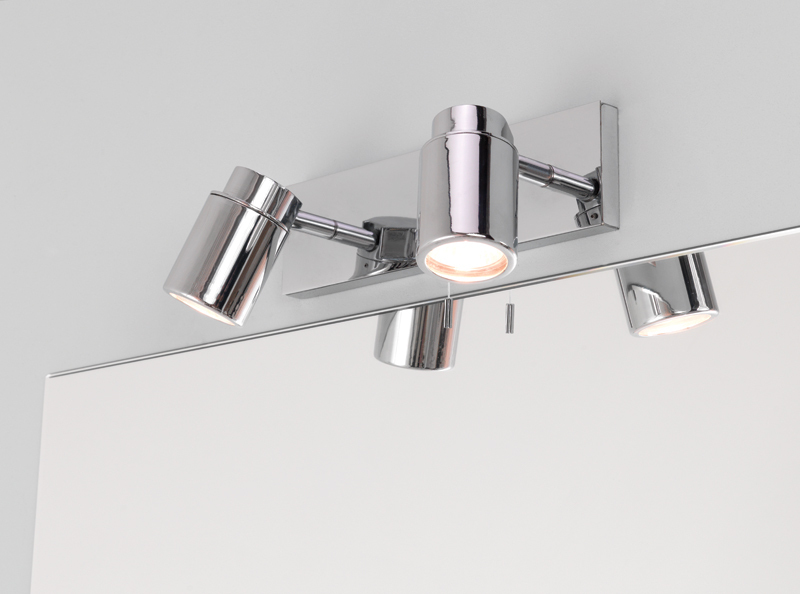 Its simple design and minimalist appearance can be used to enhance any modern bathroom and it doesn’t have the glare of other forms of lighting so it is kinder on the eye. 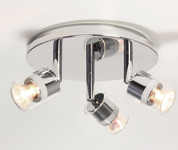 The living room is the most popular place in the home and is used to welcome friends, as an entertainment room (to watch TV in) and as a place to relax. 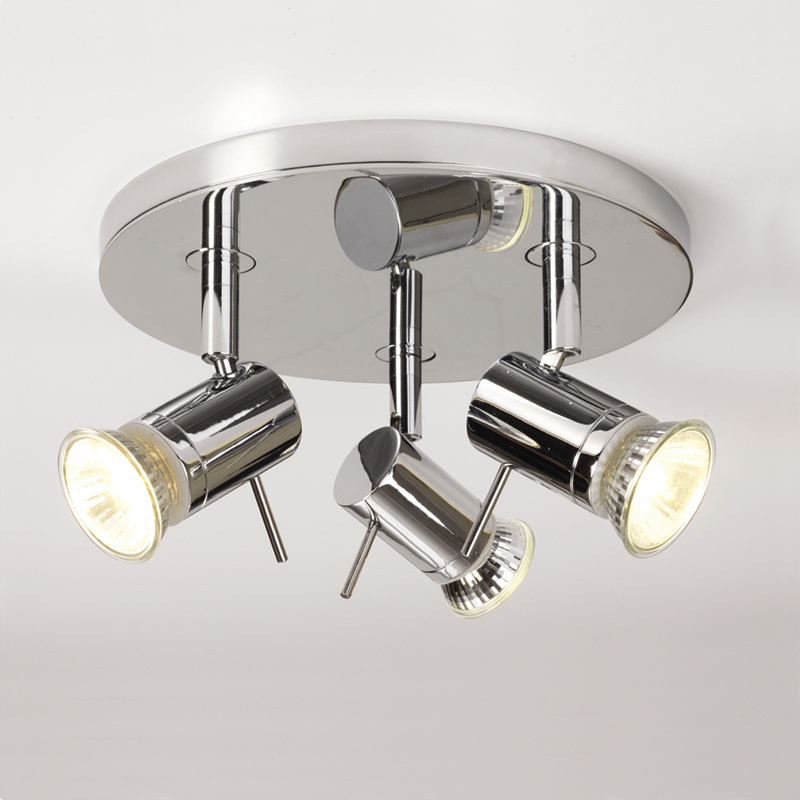 Track lighting can suit most contemporary sitting rooms as there are styles for all tastes. 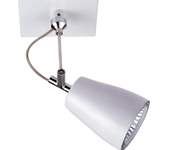 Lighting is important in the office as it reduces eye strain and aids concentration. 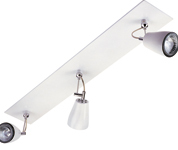 Track lighting can be adjusted to light up particular areas in the office, such as the desk or bookcase as you can point the heads in whichever direction you want them to go.